The deaths from falling are stupid cheap, but there's no denying the appeal of this classic platformer from 1984. I prefer this version to the later NES release, although that version has some really wonderful music. There are endless challenges and obstacles in these caverns that will keep you on your toes. The controls could be a touch tighter (not falling from ropes and easy falls would help), but for a pre-Super Mario world, this is very good. Great, addictive game. I agree with the others who said the controls could be VERY touchy and unforgiving, but the gameplay was worth the aggravation. A very colorful and mysterious world to explore. I think I finished it twice. I love this game. 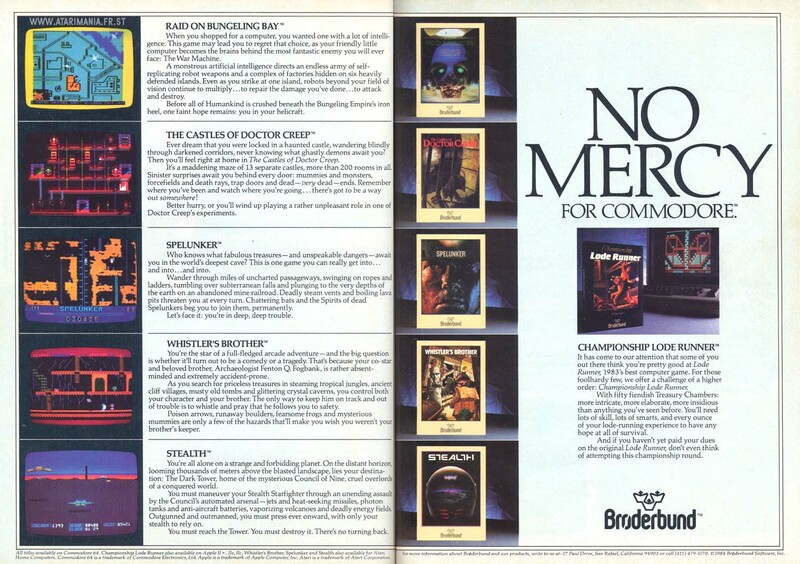 This game made me fall in love with Broderbund Software. The intro alone when you first load it was amazing with awesome music. After that I looked for games with the same quality. Other versions just don't compare to this amazing original. 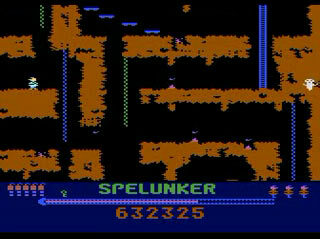 Spelunker was a great action platformer on the Atari 800, but Tim Whatshisname should be beaten with an ugly stick for mangling the controls. It's far too easy to fall off ropes or ladders, or just get killed by tripping on something. 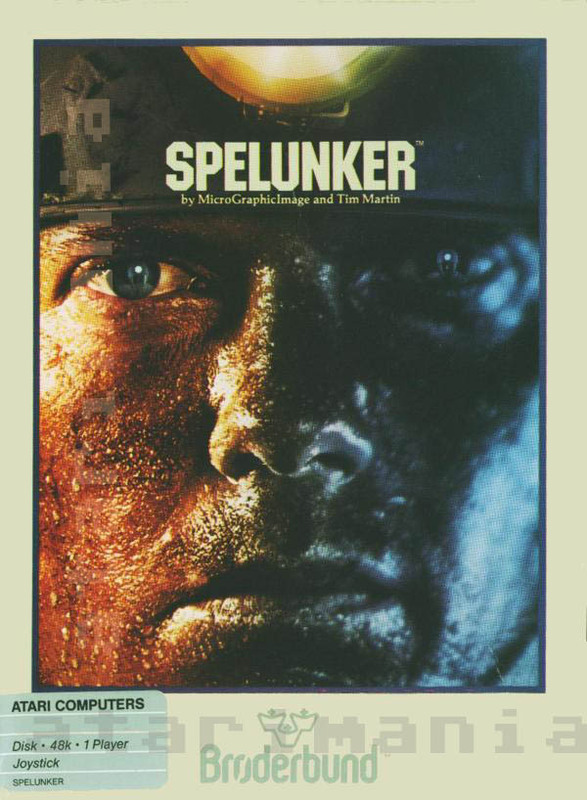 If you're a fat spelunker who gets killed so easily, maybe you should stay home. @Clark923, I think it's "D" for dynamite, "F" for flare, and SPACE to kill the ghosts. 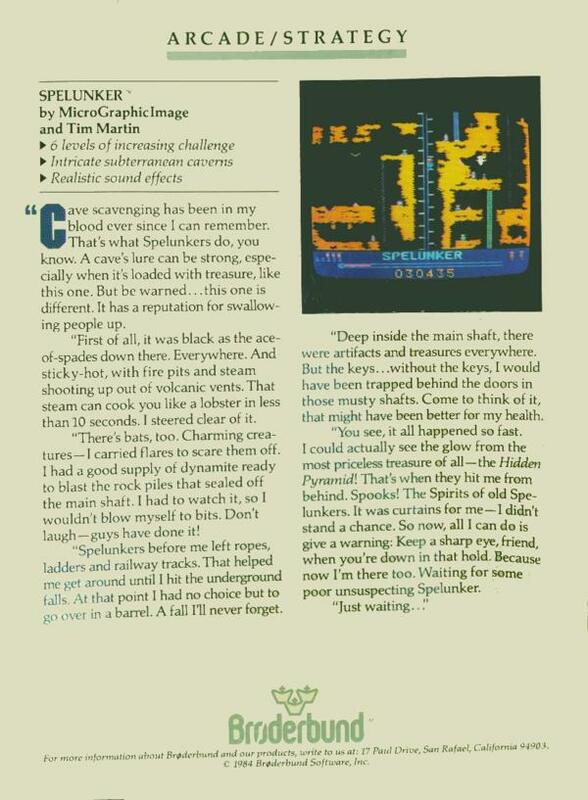 I recently played spelunker, but it's been over 20 years and I cannot remember or find the keyboard instructions (commands) does anyone know where I can find them? After quite a while I did manage to play it to the end. Quite cool game! This was my favorite game on the Atari computers. It is a great platformer, with a great feeling of truely exploring a dangerous cave system. The controls are a bit unforgiving, but one can master them and really enjoy the game. The subsequent arcade and Nintendo NES versions are horrible in comparison to the original. Even if you don't like those, give the Atari version a try. This was one of my favorite games on the Atari. After playing many, many times, I reached the final pyramid, then lost the game one jump short of the endgame. I didn't know I had gotten so close to the end until more than 10 years later, when I finished the game on an emulator. I did manage to finish the game on an 800XL long ago...no crashing. But there was definitely a bug at the waterfall; about 50% of the time you'd just get stuck at the bottom of the falls. Yeah Gourdin, I can only get to the pyramid using an emulator. In the past on my Atari 800, the game would always crash at the same point. GREAT platformer game. One of the "great" Atari 8-bit games. A huge "world" to discover for its time. It took me days and numerous attempts to finally reach the pyramid.